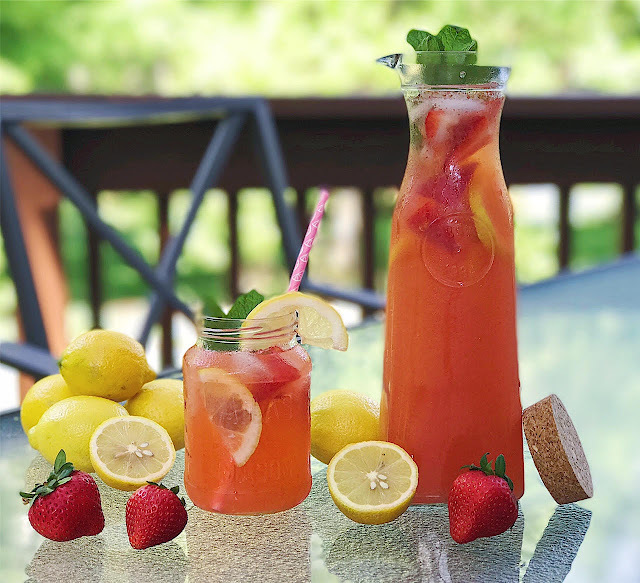 As promised, here is the delicious lemonade recipe I mentioned in THIS post. I had great intentions of posting it much sooner but time got away from me. The kids went back to school yesterday so my little sidekick is following me around. She misses her playmates! We went ahead and enrolled the kids in the school they will be zoned for once we move into our new house (will that ever happen??) It was suppose to be finished this month but looks like we're still several weeks out. I will keep you posted and can't wait to start decorating! 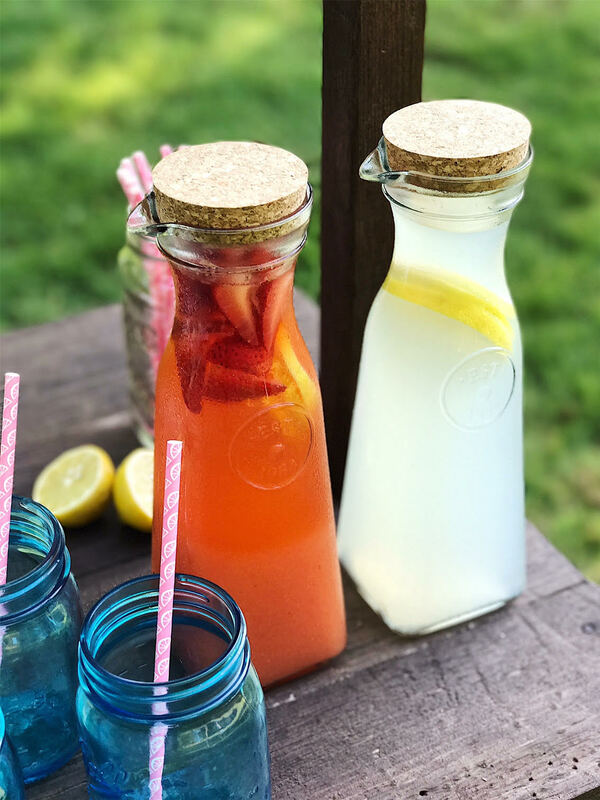 Now go make this lemonade before the weather gets too cold. Hot cocoa season is just around the corner! 1. Bring your water to a boil in a saucepan over high heat. Once it's boiling, remove from heat, add 1 1/2 cups sugar and stir until all the sugar has dissolved. 2. Add 1 1/2-2 cups fresh squeezed lemon juice to the water and stir. 3. Transfer to a heat safe pitcher and add 4-5 cups cold water. 4. Cover and place in the refrigerator to chill. 5. Add fresh lemon wedges as garnish and enjoy! 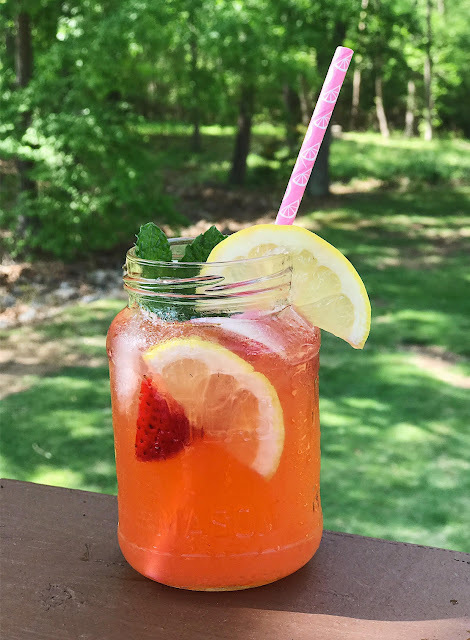 This is my base lemonade recipe and is delicious by itself. We also made a strawberry version by stirring in 1.5 cups blended fresh strawberries. Delicious!